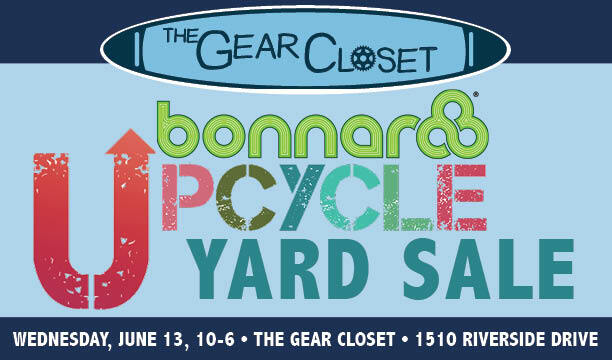 THE BIGGEST GEAR CLOSET SALE OF THE YEAR! The Gear Closet and our team of volunteers will be unloading a TRAILER LOAD of TENTS, COOLERS, CHAIRS, TARPS, SLEEPING PADS, AND WHO KNOWS WHAT ELSE! Wednesday, June 13, from 10 – 6 at 1510 Riverside Drive. Get here early for the best deals!